Click on image to see image. 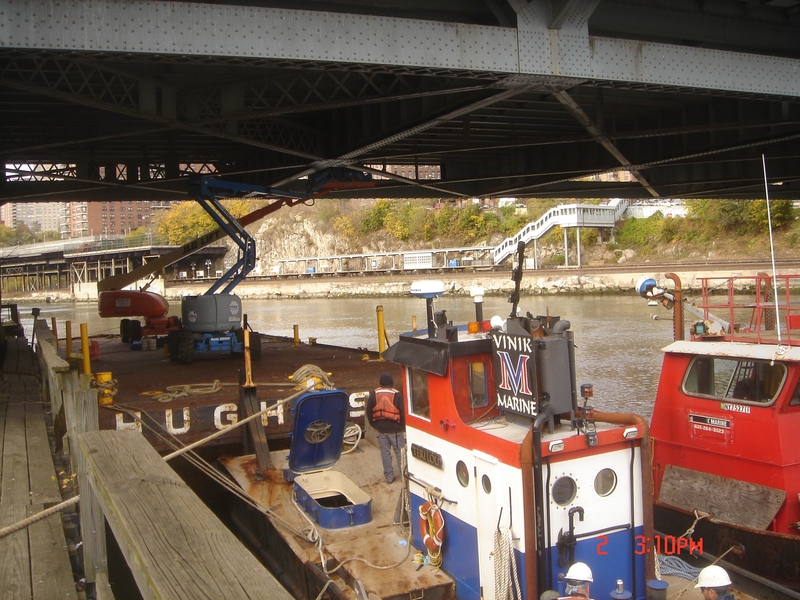 Need a tiny tug to tuck under the Broadway Bridge for bridge repairs? 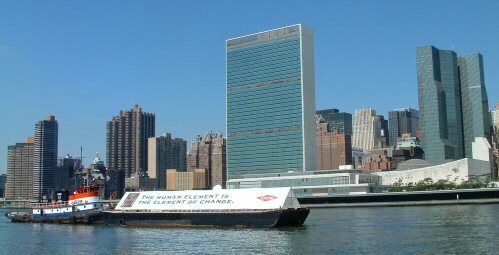 Perhaps you wish someone to construct and run a unique billboard barge past the UN for a special meeting. 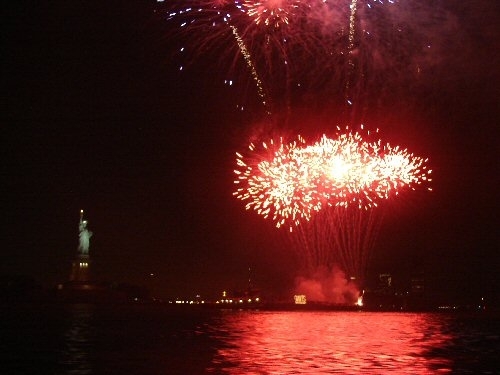 Perhaps you want a barge to float and position your fireworks? 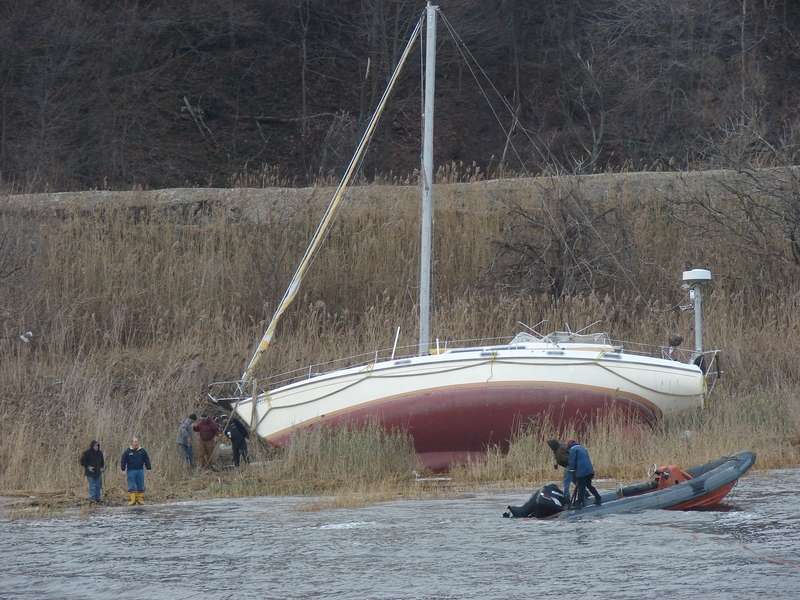 Whether the task at hand is unique or mundane in NY Harbor, the man you want is Mike Vinik of Vinik Marine. Even if you don't know exactly what you need, Mike can help you figure it out. I just wanted to touch base regarding the approach into Shell Sewaren which I performed for the umpteenth time this morning, but the first time using an assist to get into the berth. I know you've heard chapter and verse about how difficult it is to get in and out of there with the Weeks sand scows that are now part of the equation. I won't rehash, but I will reassert having the scows at State Street makes the job extremely difficult, to put it mildly. 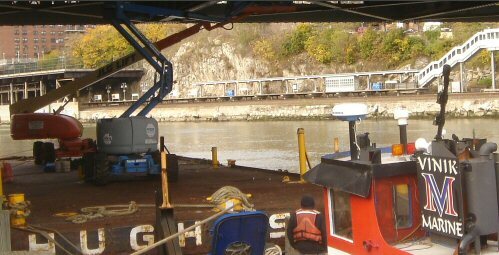 Having access to an assist boat that is handy enough to get inside of the berth makes the job much easier and safer. We used the Vinik Marine Services tug NICHOLAS VINIK this morning and I was amazed at how much more positive control I had over the unit by being able to get the assist boat up inside the berth, especially with an east wind. 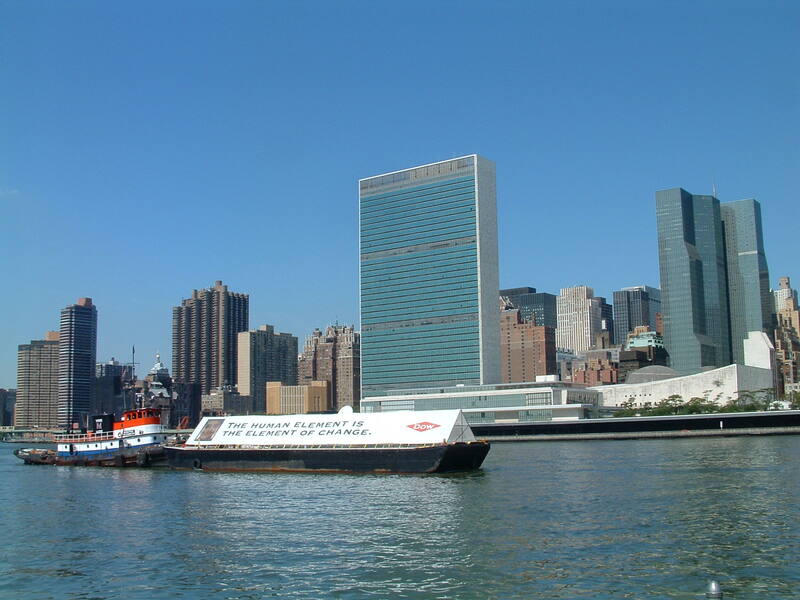 I would highly recommend, and it is my professional opinion, that having an assist boat that was as deftly handled by the Vinik operator, coupled with the luxury of being able to get the assist up inside the berth makes the job much safer to perform. I hope in the future scheduling will take into account the difficulty of the maneuver being asked of us, and will continue to use Vinik Marine Services for this particular job. My thoughts on Vinik Marine. In the mid-2000's I was Capt. on the tug Penn No 6, pushing the Bg. Penn 120 in and mostly arround NY Harbor. 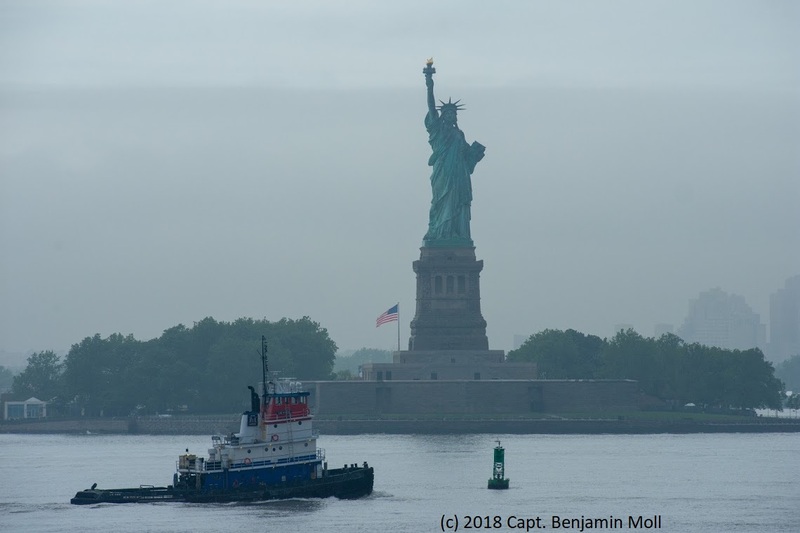 At that time Penn had a policy in NY Harbor to let the Capt choose the Asst. Tug that he wanted to use. I'd heard about the Red,White and Blue tugs down at Perth Amboy and decided to give them a try. At that time it was the Dorothy Elizabeth, I was very impressed with the skill and professionalism so I started using Vinik exclusively. When the Charles Oxman arrived, it was like Superman arriving. I was able to miss a tide and still go into piers that I would have had to wait other wise. With the power of the Oxman and Mike's skill, I counted on them when things went bad, and they came through every time. I utilized the Tug "Agnes" of Vinik Marine for arrival and departure with the HMS 2605 into the inside berth at Shell Sewaren last evening and this morning. 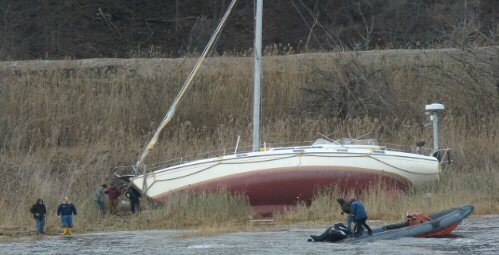 In my opinion, it is the ideal boat for this job. It makes the job stress free and adds a layer of safety which is needed with the conglomeration of Weeks equipment directly behind berth. The tug is small and maneuverable with more than enough juice to get it done. Phone him at 732-610-9287. 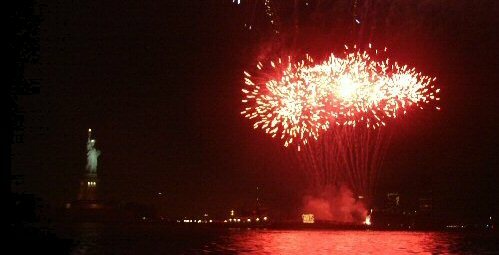 Call for a tug or rent a barge at 732-610-9287. Leave a message or a testimonial at office@vinikmarine.com.